AUDI Sport Customer Racing don’t do things by halves. 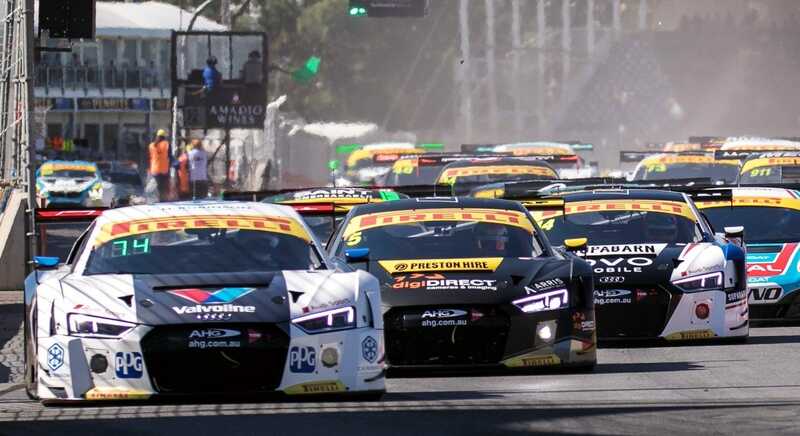 The giant GT team, which operates up to seven GT3 spec Audis in the Australian GT Championship, and looks after more than 20 race cars across Australia and New Zealand, has partnered with global air filter giant K&N Filters to improve the performance of their R8 race cars. Powered by a 5.2L V10, the Audi R8 LMS GT race car the team runs puts out up to 412kW of power and boasts 500Nm of torque. California-based K&N Filters has developed a specific washable and reusable filter to suit the R8’s airbox, and last an entire season. According to team principal Troy Russell, the move to K&N Filters in the R8 has been a popular decision based on driver and engineer feedback. GT Racing in Australia has taken off in recent years, with three separate championships taking place in 2017, the Australian GT Championship, Australian Endurance Championship and GT Trophy series. The shortest GT races run for 25 minutes, while the marquee endurance event in Australia is the demanding Bathurst 12 Hour. K&N Engineering’s Business Manager for the Asia and South Pacific regions, Richard Smith, says the relationship with Audi Sport Customer Racing Australia debunks the myth that K&N’s products are only for muscle cars. A single reusable filter that can be used over an entire season, instead of replacing filters after every race or race meeting, has to also be good for the environment, and reduce overall costs to the team to go racing, which can only be a good thing.